So, we in the Systems team decided it would be much easier to just move the blogs to an independent server, use a subdomain of our primary domain to get to the blog and 301 redirects to send traffic using the old links over to the new ones. But this led to the link-juice discussion and will we lose SEO traffic and the like. We listened to Matt Cutts’ Q/A on the topic (https://www.youtube.com/watch?v=_MswMYk05tk) several times and nearly did it, but there were just so many others on the internet who appeared to have difficulty with it and lost traffic due to moving to subdomains from subfolders. While there are some principles of SEO that obviously work, there are a lot of unknowns also that can be very costly to your SEO to prove them out. We would prefer having absolute fact and experience on our side before we made a decision like this. We figured that the best outcome we could get by moving was staying status quo, while we had potentially very poor outcomes and losing a lot of SEO traffic. To avert the risk, we looked for a solution to separate the blog from our redundant webpage while still having it located as a subfolder on the website. We decided to use Apache Reverse Proxy to resolve our issue. Apache Reverse Proxy to the rescue! A reverse proxy serves the webpage by allowing you to add additional resources to it. This gives you great flexibility as you can add all types of applications that you may not want to or be able to serve directly on the website server itself. You can also serve applications that may not be available elsewhere using Apache Reverse Proxy. As long as the webserver itself can access the other applications, it can serve them for others. In the example in the Apache Reverse Proxy Diagram to the right, you can see how it works. 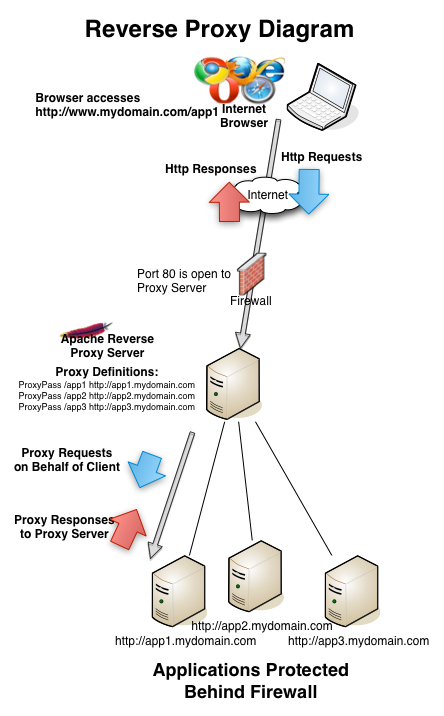 The Apache Reverse Proxy Server has three Reverse Proxies defined (app1, app2, app3). All of these application servers are hidden behind the firewall and are not typically available. But because the Apache Reverse Proxy Server does have access to them, it is able to serve them. Be warned! Somebody could server your private applications this way! 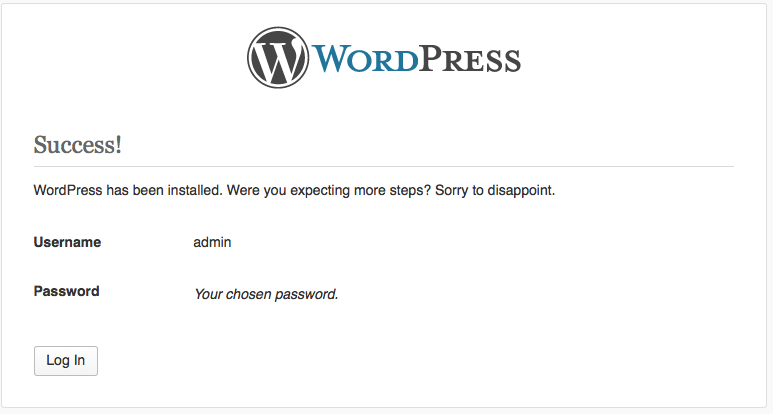 In the situation of my blog server, it makes total sense. But you will want to be sure that anything you serve this way is non-confidential and appropriate to be publicly available. In the case above, we have the mod_proxy already installed. If you don’t you will need to install it and we will discuss that in a moment. In the case above, it is installed. Typically, one would use the Apache Extension Tool (apxs) to install Apache modules. You can get more information about installing Apache modules using apxs here: http://httpd.apache.org/docs/2.2/programs/apxs.html Since CentOS 6 has come out, it has become much easier because they have made the modules available for installation using yum.